Taxpayers have paid millions of pounds in legal fees to defend disgraced former bosses of HBOS and Royal Bank of Scotland. Ex-directors of state-backed Halifax Bank of Scotland are battling with regulators investigating their role in the bank’s collapse. They include former chief executive James Crosby, successor Andy Hornby and former chairman Lord Stevenson. The legal bill has spiralled as a report into what went wrong and who was to blame has been delayed by their lawyers. But it emerged the bankers have not paid to defend themselves against allegations their reckless pursuit of growth led to the bank’s implosion. Their fees to City law firm Ashurst have been covered by Lloyds, which took over HBOS in 2008 before being rescued with a £20.5billion bailout. Taxpayers own 18 per cent of the lender. RBS, which is 79 per cent owned by taxpayers, estimates it will have to spend £42million defending itself and former bosses against a £5billion lawsuit. Investors claim the bank misled them into buying shares in 2008 by playing down the parlous state of its finances. The Financial Conduct Authority report was due to be published in 2013. Last week it emerged lawyers for former HBOS chiefs had made another bid to delay it, questioning its independence. Maxwellisation, the term given to allowing those criticised the chance to respond, has dragged on for almost two years. But the bankers have not paid any legal fees, despite their huge rewards. 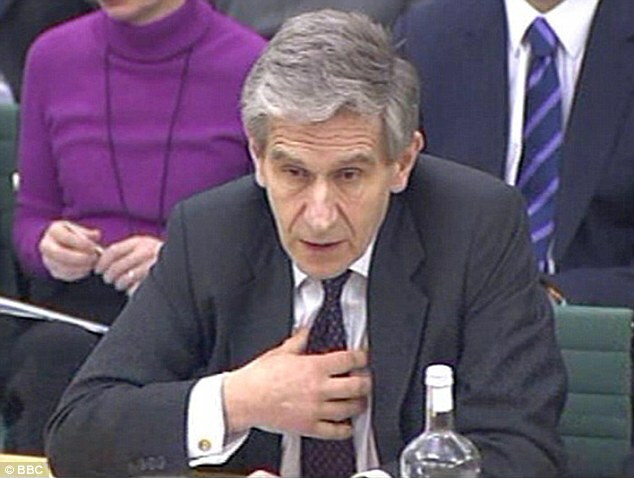 Mr Crosby has an annual taxpayer-backed pension worth more than £400,000 from HBOS. Andy Hornby is thought to enjoy a seven-figure pay package as chief of bookmaker Gala Coral. It is usual practice for big firms to cover legal costs of executives if these relate to their work. But the revelation that men accused of destroying HBOS are receiving this support is highly controversial. Paul Moore, a former HBOS executive sacked in 2004 after warning about the bank’s reckless lending, said it was an ‘insult to taxpayers’. How surprising is it that the tight little group would look after their own. Normal citizens cant even get legal aid but the tax payers have to put their hands in their pockets for this little hand out. Don’t you just love the way they go about the business of creaming the public. I must add that they are “experts” at self protection. Who protects us from them? No one! Hi Brian, SBCB have made considerable progress since inception when Mr Andy Keats & Mr John Goddard decided to fight back for SME victims. SBCB are in possession of highly confidential and sensitive information that cannot be published as yet due to the content. Many Bank employees are choosing to come to SBCB rather than the FCA as you will see from the message from one of our supporters. Due to the scale of what SBCB are uncovering this is going to take time. The SME alliance community is growing fast and with many likeminded victims drawing strength from each other and sticking together the Bank’s need to understand one thing. Justice will come to ensure Redress for the past and Reform for the future. We owe that to our generation and future generations to come. Keep an eye out for two new supporters/patron’s coming on board shortly. I now have a very complete file detailing NatWest / RBS / GRG activities with regard my businesses. I would like to make these available to you. If you let me know I have the complete chronology and all supporting documents on computer if there is a need to contribute in any way to an evaluation I may be able to cover a small amount towards this. Like many other business owners affected by the banks actions I was left with very little when they had finished. Please would you email the information to collatingfacts@aol.com with your contact number and we will be in touch. We will do all we can to assist you Brian in obtaining redress for malpractices.